The K2 uses FLIR&apos;s patented MSX technology that embosses key details from the built-in visible camera onto thermal images, providing you with the extra perspective to help you stay oriented and safer while saving others. FLIR K2&apos;s compact design makes it light and easy to attach to turnouts. A single large button makes the camera simple to activate even with heavy gloves on. And the bright LCD and intuitive interface helps you start seeing your way through dark, smoky conditions immediately, so you can stay focused on the critical job in front of you. Engineered to survive the tough operating conditions firefighters face out on the call, the K2 withstands a 2-meter drop onto concrete, is IP67 water resistant, and is fully operational up to +500�F/+260�C (up to 3 minutes). 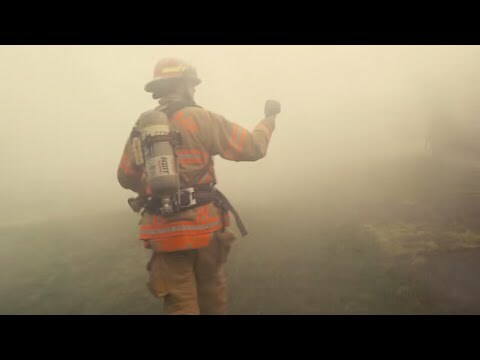 FLIR K2 can be set to one of seven different thermal imaging modes depending on the primary emergency service that you&apos;ll be using the camera for. Switch between them using FLIR Tools software that you can download free from www.flir.com. Fire up the K2 as soon as you arrive on scene for the 360 size-up. Take it inside to see your way through smoke, keep track of others, and determine where to focus fire attack efforts. Find stranded victims faster. And scan for hot spots during overhaul. The K2&apos;s new level of affordability makes powerful thermal imaging more accessible to more firefighters � a small investment that can help pay big dividends when it comes to safety, saving lives, and protecting property.